Panella London is the creation of married couple Giuseppe and Caterina Di Matteo. Hailing from Palermo, they hope to bring you the finest in both Sicilian cuisine and hospitality, reflecting the rich, varied heritage of this special place in the Mediterranean.Currently housed within the Goldfinger Factory underneath the iconic Trellick Tower at 13-15 Golborne Road, Panella invites you to head down for Breakfast, Lunch or an afternoon coffee. The space is also available to hire for parties and events. With a seasonal menu that changes from day to day, they seek to reflect the very best of Sicilian and local British produce. 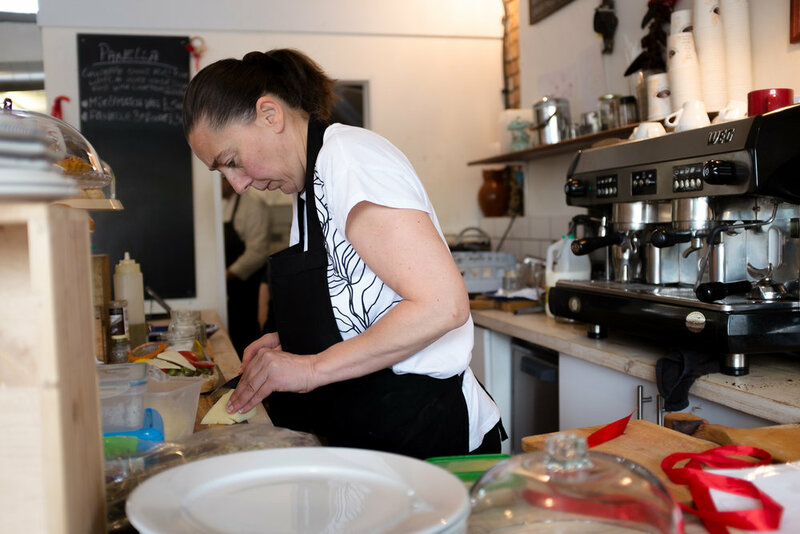 As part of the North Kensington Community, Giuseppe and Catarina run a People's Kitchen out of the Goldfinger Factory. 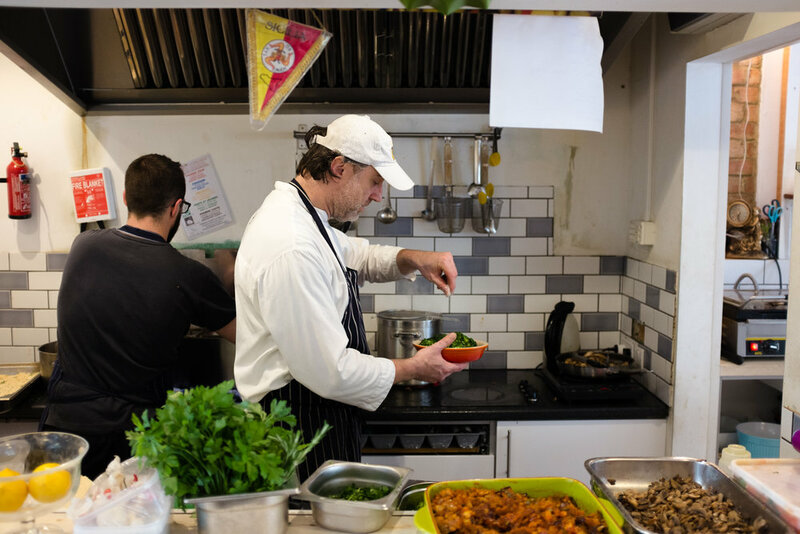 With produce sourced from the Queen's Park Farmers Market on a donation basis, the meal is an opportunity for people in the surrounding area to come together over fresh, organic food. Cooking begins from 3 PM with the meal starting from 6 PM onwards. The event is entirely free of charge and open to the public. If you'd like to volunteer, please get in contact - we always love a new hand in the kitchen!